2018 Topps Archives MLB Baseball EXCLUSIVE Factory Sealed Blaster Box! This Very Special EXCLUSIVE Factory Sealed Box includes 7 Packs and 8 Cards Per Pack Plus SPECIAL EXCLUSIVE BONUS PACK that Contains TWO(2) 1980?s Themed Topps Coins! This Very Special Exclusive Coins can ONLY BE Found in these Boxes! Collect the Whole 25 Piece Set including Aaron Judge, Mike Trout, Shohei Ohtan & Many More! Look for Inserts, Parallels & Autographs fom the Classic Baseball Movie THE SANDLOT! Look for the Very Popular Fan Favorite ON-CARD Autographs & Autograph Parallels of MLB Superstars and Legends including Derek Jeter, Aaron Judge, Hank Aaron, Sandy Koufax, Bryce Harper, Shohei Ohtani, Mike Trout & Many More! Look for Rookie Cards & Autographs off this Year?s Amazing Rookie Class including Shohei Ohtani, Ronald Acuna, Gleyber Torres, Miguel Andujar, Rhys Hoskins, Rafael Devers, Victor Robles, Rhys Hoskins, Amed Rosario, Ozzie Albies & Many More! Plus Look for the FIRST in pack Rookie Cards of National?s Young Star- JUAN SOTO! 2018 Archives Celebrates Topps Renowned 1959,1977 and 1981 Designs across a 300 Card Set! 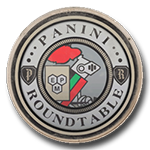 Look for Limited Number or Unannounced Card Variations & Amazing Parallels! 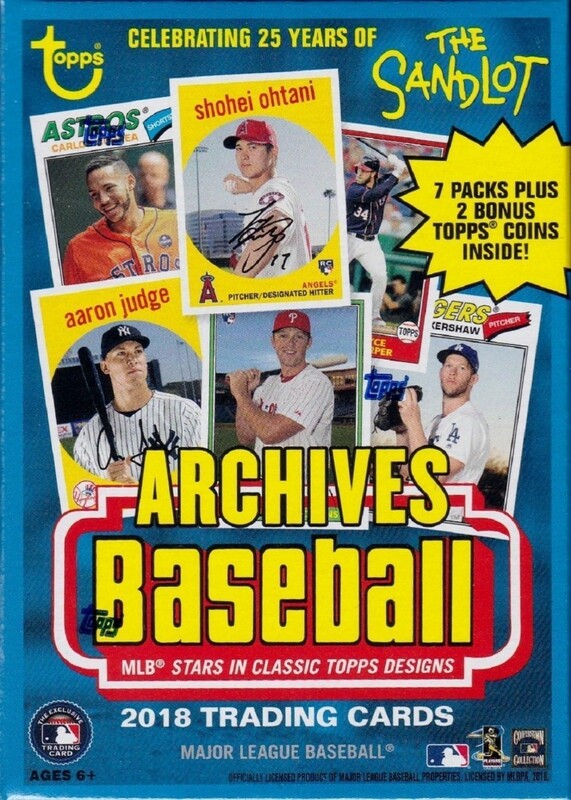 Look for NEW inserts including Topps Rookie History, 1959 Topps Combo Cards, 1977 Topps Turn Back the Clock, 1981 Topps Future Stars, Coming Attractions Rookie Autographs & More! Also Look for Rare Topps Originals BUY BACK AUTOGRAPHS from the ?50?s,60?s,70?s,80?s 90?s Signed by Retired MLB Stars! This Product Is Loaded!